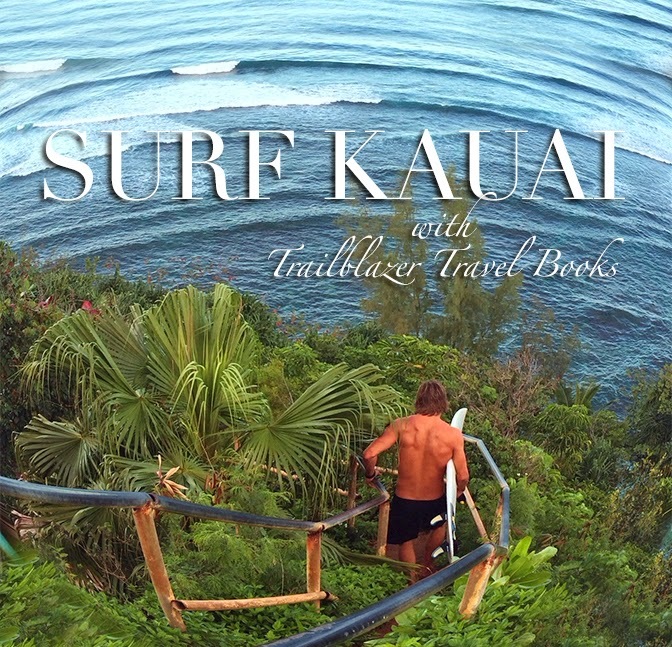 How Far Will a Surfer Hike on Kauai? Not a trick question: As far as it takes to get to the surf. While all the islands have board-carry breaks, and Oahu is the surfing capital of Hawaii (and the known Universe), Kauai has by far the best surfing beaches that are reached by beating the feet down a trail. Pictured is the rickety staircase down to Hideaways in Princeville. Most of these hike-to beauties are on the islands northeast (windward) shores. This shot is at Hideaways a well-known dirt staircase at the ultra-posh Princeville St. Regis Resort. The snorkeling is also very good at this classic cove, but the steep trail wards off visitors with pedicures and strappy sandals, so the scene is always quiet. The other beaches on the coast from Princeville south to Anahola-Kealia are much more rural. Several are outright wild. Among the more popular and easy-to-find: Secret Beach in Kilauea and Donkey Beach in Kealia. Kauai Trailblazer has details on these another 10 beaches on this coast.